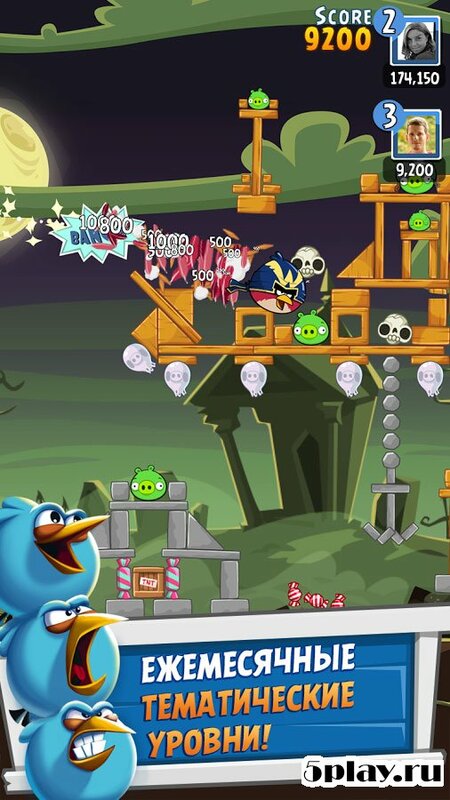 Angry Birds Friends – a new game from series of games from Rovio, where the player once again invited to destroy the green cloven-hoofed animals with the angry birds. The project has several important innovations. The first thing that catches the eye is the ability to compete with friends in tournaments and integration with social network Facebook. Due to this, you can now see, whose sight is better and who can score more points. 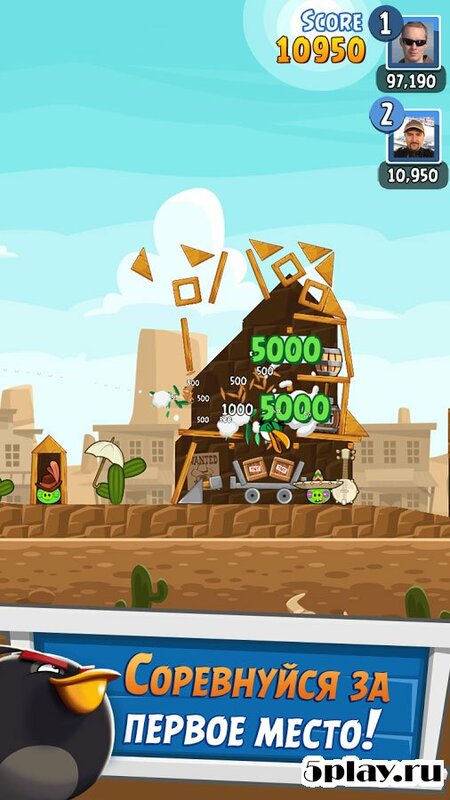 Another feature is the presence of bonuses and their use. There is a use of super-birds, activation of sight, the super slingshot and many others. They are purchased with points earned in previous levels. Points is enough to buy the bonuses, but in acute need, you can use real money to buy them. 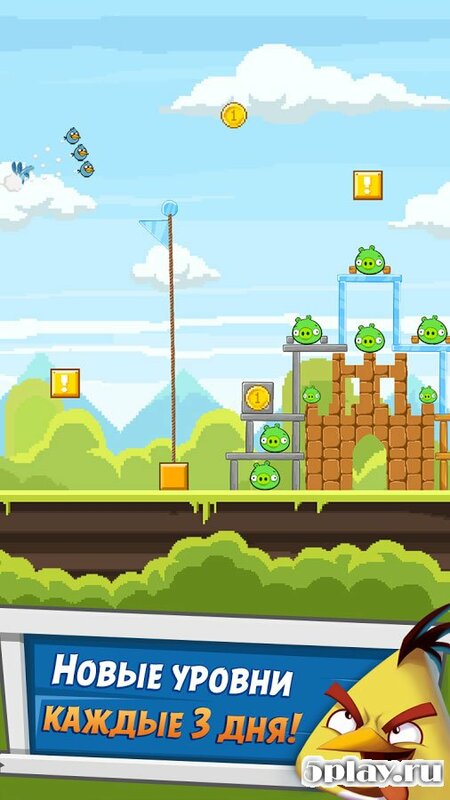 The rest of the game is the good old angry birds. Here are all the same colorful graphics, familiar soundtrack, game mechanics and diverse levels. The gameplay is straightforward, no experienced players, no new users. 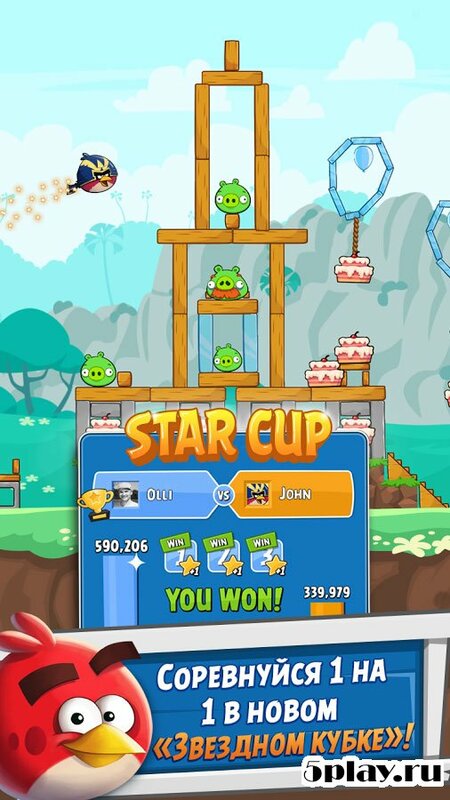 Angry Birds Friends – nice try Rovio to add a competitive component in their favorite game, which opens at the birds the new face.